I thought that I would share some tips that I learned over the years of changing my Death Well into a Livewell with the WFN members and readers. Through my own experience, the research and magazine articles that I have read over the years which has allowed me to stay competitive in the tournaments. I will touch on some of the products that I have used for my livewell system over the years and some of the new products that are on the market today that I am considering on purchasing this year. If you are considering fishing a tournament this year or have in the past and are worrying about or have loss fish in your livewell, here are some products for your livewell system and tips to help you keep your fish alive this year. You might not have fastest or biggest boat, however you can put the odds in your favor by weighing in live fish. Weighing live fish is what helps win tournaments. Many studies were done on oxygen levels in our livewells. Some manufactures have products new products over the years to ensure that our catch stays alive and are successfully released after a day in our livewells. The basic way to add more usable oxygen into our livewell is to pump in more saturated surface water in. By replacing the livewell water that has lower oxygen levels after awhile with more fresh saturated water from the surface. The amount of oxygen depends on the amount of water being pumped in, water temperature and the way it enters the livewell. The first lesson I learned was that by adding a spray bar would add more oxygen to the water when it entered into my livewell. By simply turning the spray bar towards the side of the livewell did two things. First it prevented the spray from spraying across the surface of the water in the livewell which could remove the protective slime on the fish that were on the surface. Second was by turning it towards the side could now allow the stream to push the oxygen deeper into the livewell for better oxygen mixing with water mixture. By changing your livewell pump to a larger one will allow for more oxygen to be added to the livewell by pushing the oxygen/water mixture deeper into the livewell and will increase the flow of saturated water into your well. A few years later I changed my spray bar after reading an article about the Power Aerator. The Power Aerator system works by drawing air threw a piece of tubing at the top of the bar into the water system. The water streams draws air from the livewell air space and then mixes with the water that then shoots down to the lower part of the livewell. The problem with both the spray bar and power aerator was that they used the air in the livewell between the lid and water line. I soon learned that this air space would be depleted making them infected after about a half an hour of running. To solve this problem I would have to open my livewell lid every twenty minutes allowing for fresh air to enter. During a day of fishing with in my friend (Craig) Bass Boat I heard this hissing sound and asked him what it was. Craig explained it was his air intake line for his live well. The next day I vented the air tube of the Power Aerator outside of the livewell. Both these systems work great as long as you didn't have a long run to make as they weren't designed to pick up fresh water while on plane. To make matters worse was if the run was a rough one because you would loose some of the water in your livewell which in turn would lower the oxygen levels in turn causing stress, damage and even death to your catch. 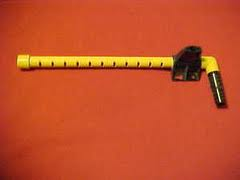 In tournaments were death penalties could cost you thousands of dollars a solution to this problem had to be found. After reading an article one day, I learned that a fresh water pick up system was a solution to both these problems. 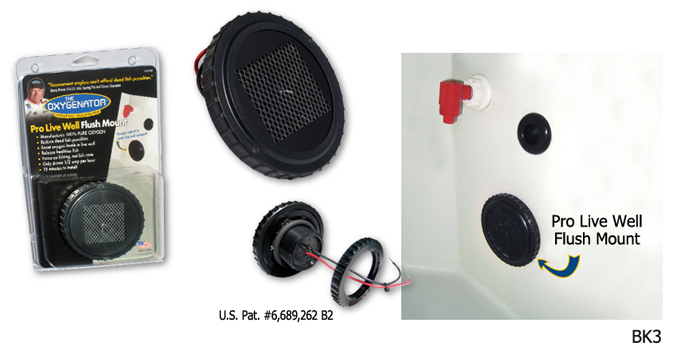 For the sake of this article I will talk about two water pick up products by H-T Marine. The first one is designed to pick up water to the aerator pump yet it has pressure relief holes to prevent overpowering smaller pumps. 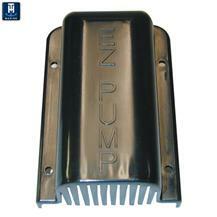 The second one is their EZ Pump TM, Advanced Water Pick-Up System that comes in three sizes which fits most applications. Both come with instructions and are simple to install. Both scoop water and maintains a source of fresh water to the aerator pump while on plane. Many anglers are now leaving their livewell pumps on, blocking their overflow holes in their livewell to prevent the water from draining out. By doing this, it now prevents the loss of oxygen in the livewell and prevents the fish from sloshing around damaging themselves. For example, 20 pounds of fish in a 20 gallon livewell will reduce the water in your livewell by 2 gallons. Now factor in the loss of water due to rough water and you are now looking at 10 to 15 gallons in your livewell now. You can see the advantages of having a fresh water scoop to help keep your oxygen levels up and your fish safe. The next lesson I learned was during a day of fishing with friends or family was that I would still loose fish in my livewell. After reading that my livewell on a hot day would bring the temperature up lowering the oxygen levels causing the fish to stress and die. I also learned that with the lid closed caused the build up of Metabolic Gases and waste build up adding to the problem. To prevent this from happening I was back to opening the lid every half an hour again to allow for these gases to escape and for fresh cooler air to enter. In recent years a product has been made to eliminate this from happening. The product is called the V-T2 by New Pro Products. The product is a venting system that is easy to install yourself. It helps the heat to escape in the livewell, increases the circulation and cools your livewell with the boats movement. It also helps with oxygen levels and removable of the metabolic gases that build up in the livewell over the day. 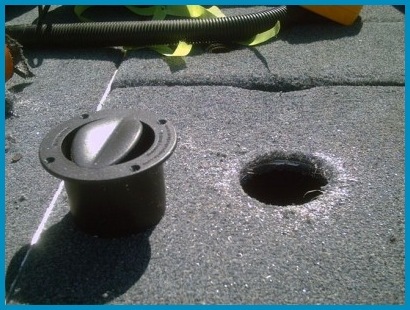 The vent is designed to prevent water from spilling out of it. This is one product that I'm looking at adding to my livewell this year. I know my tournament partners will be glad that they won't have to open the lid as much except to add fish to the livewell and check on them. The last latest product on the market is called The Oxygenator. Although I don't have one, I think it is worth mentioning in this article for those of you that may want to check into looking further. The only time that I seen one work was during a week of pre-fishing and the tournament which I fished out of my friends boat which had one. During that week we never loss a fish, minnow or leech that was in his livewell with it working. We left the Oxygenator on all night with our bait in it and never loss anything. On our ride to the tournament which was a six hour ride, we put our bait in the livewell with the Oxygenator on. After arriving and unloading the truck we checked on the bait in the livewell. Everything was alive and the battery wasn't drained. For more information on how the Oxygenator works, I suggest you check out their website. If you were considering fishing a tournament this year but were worried about keeping your fish alive or having problems with keeping your fish alive, I hope that this article helps you to look at some of these different products which are available on the market this year. I know they improved my livewell system and I'm sure they will help yours as while..